This is our complete KTuner end user system with 05-06 RSX PRB ECU package. Will allow simple plug-and-play use. Requires no core, this is a simple out-right purchase of ECU and KTuner system ready to use. Available now through us at HA Motorsports is our 05-06 RSX Available now through us at HA Motorsports is our 05-06 RSX Type-S Hondata K-Pro ECU Package. This package consists of a fully reconditioned 02-04 RSX-S PRB ECU that is specially modified by Hondata to work with the 05-06 RSX Type S electronics, along with a Hondata ECU jumper harness. 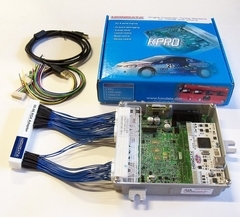 You will not find a more complete K-pro ECU package for the 05-06 RSX than this package! The KTuner Reflash for 05-06 RSX base model offers new life to the RSX engine with minimal cost. Available for both manual and automatic transmission models, gains of 10-12 wheel horsepower from 2000-3700 rpm and an increase of another 3-4 wheel horsepower above 3700 rpm are achieved even on a completely stock engine. The result is a much more pleasurable driving experience with plenty of torque for easy passing. KTuner Reflash for 2005-2006 Acura RSX Type-S. An amazing alternative to Hondata Kpro, or KTuner end-user is the KTuner reflash for your stock ECU. 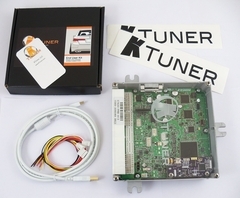 This KTuner reflash is for your factory 05-06 RSX ECU and requires no wiring changes or replacement ECU's. We simply reflash your ECU and return it to you to plug back in.